hello. Well it’s been a fair few months since I’ve sat down and done the blogging thing. Apologies. I would make excuses but I don’t have any other than life as a mum of three. Anyway, I came to write about what’s been doing with the shop. Well….lots of lovely developments. The first patterns made to my designs have been made and the first samples all made up and worn tried and tested by my girls. There’s lots of photographs showing them over on Instagram if you want to see them in action. I’ve had my first labels made up and I’ve changed the packaging too. So you see I’ve haven’t been sat on my bum eating Christmas leftovers till it’s time for chocolate eggs! I thought it it might be nice to show you some of the process. Focusing on one idea at a time is not my strong suit so what I tend to do is sketch a lot then pick out what I think would make a nice collection. This first collection has three styles so far but lots of lovely fabric choices. The first samples were made up in the rust cord and the wine check as I wanted them to transition from cold months into the spring. I think the cord look so really nice with a pretty floral for example the Babs apron with a floral blouse underneath or the wine check Polly with a lovely aran Cardigan and little wellies. See when I begin the process I already have an idea of a costume as my nana would say in my head. Obviously the Babs in a gingham check would look amazing and so summery , in my head that’s on a beach with a plain white tee and no shoes with salty sea air making tangles in hair. So then I sketch the shape out and that then gets made into a pattern. I then source the fabrics I think would work well and suddenly bobs your uncle and fannys your aunt and the sketch is a real life Frock! I’m sure we all remember a visit to the grotto with our parents when we were little. Is it just me that seems to remember it being much more of an occasion than it is now? I mean the department store would go all out and it was always so magic but now it seems stick a santa in a little box cue outside and that’s your lot. its all a bit sad and high speed modern tech for me indicative of how we live these days but I do feel especially in the festive period we all want to slow down and really live so I searched for a great Christmas grotto to take the girls too. We found one! Into Trafford centre are doing a Peter rabbit themed grotto this year and let me say it doesn’t disappoint. They promise a walk through to the big man filled with a chat with Peter, biscuit decorating with jemima and a song with mr Tod. You can even peep into his cooking pot if your brave. we went on a Monday as it was very booked up and busy but it was so worth it. We arrived a few minute early so we could park the pram and get everyone ready the suddenly a little door is opened and out peeps Peter rabbit. Ok it’s a chap dressed as Peter but he is fab with the kids and really embodies the rabbit in the blue coat. He invites us in for a little chat filled with lots of shouting for other characters and questions to get everyone involved before he reviews a very secret tunnel in his sandy burrow which the children can crawl through. What’s really nice is that he let us take lots of photos as in previous years taking your own photos wasn’t allowed. As you can see Violet was really happy about this haha. once the tunnel has been found and the little ones come through the other end your in a big room with a table and jemima puddleduck ready to decorate biscuits. Mr toss den is in there too and the two interact a lot. The kids get to do the biscuits and are given a little box to take them away in then you pop over to the den. Mr Tod is fab. He really was a sly fox but assures you he’s offmeat this Christmas and even invites the grave to look into his pot to make sure! After a lovely sing song you go off to find the man in red seeing if you can spot his pants hanging to dry thanks to mrs tiggywinkle. we found the que really quite fast I think this is because they have two rooms going but they didn’t rush us at all once in there and let me just say the elves were wonderful and particularly good in helping wrangle a wandering two year old. A little prince for Christmas. This outfit was worn at the christening of his little sister Charlotte but I think it would look lovely and very festive on the Father Christmas photographs. We have two inspired outfits available for younger boys and a slightly darker burgundy one which would look lovely on a slightly older boy of 5. George’s dressing gown was a gift from President obama and is available from My 1st years but just look how perfect these little pyjamas would be for underneath it. One of my favourite outfits on Prince George was the one on the photos realised for his first Christmas, the little solider tank top. Creating a classic capsule wardrobe. Buying pieces for your child’s wardrobe can be overwhelming, It can also get a little addictive resulting in a bulging wardrobe and an empty purse if your anything like me! But the good thing about dressing them in a classic style is that if you buy well the pieces last (often well enough to be fantastic hand-me-downs) and that they don’t go out of fashion so you can get more than a season out of them. The other plus is that they always look well put together and I promise you will be complimented on this very often. We get told Violet looks like a little dolly daily. So what are the must have investment items to get your little one looking sharp? This is a beautiful one from La coqueta kids Wool is usually a good choice as it’s warm without being bulky, a colour like navy grey or burgundy will go with everything and double breasted looks the best. Obviously this is not a play in the snow kind of coat so you will need a anorak type too but for creating that perfect look this is a must have. Mary Jane or t-bar shoes. Mary Janes for girls and t-bars on both boys and girls are always a firm favourite. Apart from supporting the foot correctly they look gorgeous, they go with anything, can be dressed up or down and can be found in most good shoe shops. There’s a reason these styles don’t fall out of favour. These wine coloured ones by Dõna carmen are the ones Princess Charlotte wore in the school photos and if your looking for patent or a more neutral tone these charcoal grey ones from Cecellia belle are perfect. Is there anything more lovely than a little Peter Pan collar peeking over knitwear? Personally I like them on little blouses or dresses for girls too but boys shirts are just what’s called for I think. This lovely one from Amaia Kids is nice with the extra detail of piping. It often the little things like this that really make a look. The devil is in the detail after all. The Dutchess Kate likes to choose a colour complimenting a dress for example burgundy and grey which she’s a fan off and use this through the outfit so maybe a dress with burgundy floral detail with grey tights and a burgundy bow and shoes. Never underestimate the power of a good bow and come on it there anything more classic call the midwife nostalgic than a oversized hair bow? Amaia kids has a wide selection it’s also where some of toddler Charlottes smaller bows are from. We all remember those first photos of the royal babies outside the Lindo wing. Beautiful shawls and Charlottes little bonnet were every inch the perfect picture of newborn loveliness, you could practically smell that newborn head smell! The little knitted sets of a top and pants with feet are a lovely alternative to a sleepsuit or babygrow whist still being easy for changing time and comfy for the wee one. Bonnets, need I say more? I mean who doesn’t love a bonneted babe? This outfit and bonnet from Pepa&co are very similar to those chosen by The Dutchess. Speaking of royal iyt they are also a fan like myself of a shawl. The shawl on the left is from G.h.Hurt favoured by the royals but this other one from Marks and spencer is a lovely budget friendly option too. Sticking with a neutral cream or white palette is also nice way to dress your baby in a lovely classic way, trust me you will have plenty of requests for pink and sparkly and pepa pig logo stuff in the years to come! What is classic childrenswear and do I like it? so which are you? Are you dressing your child classically? well take a look at the pieces you choose for them. Are you sneakers or t-bars kind of gal? Do you love bloomers? Are tights and dresses or knee socks and shorts your thing? Do you look at the mini royals and love their looks? 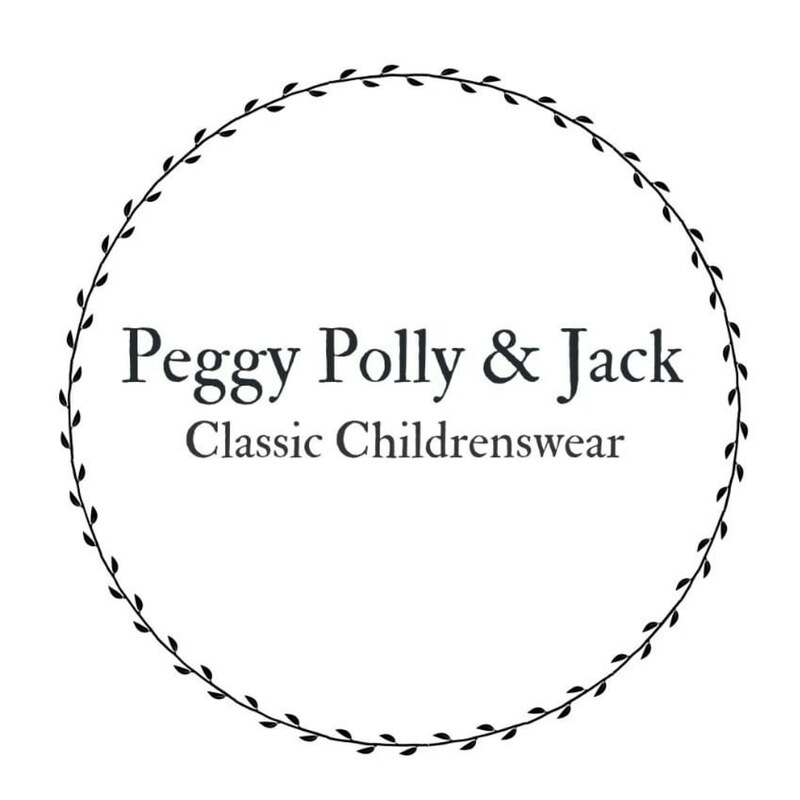 If you answered yes then chances are you will love classic Childrenswear. Hello there, thank you for clicking on that little blog link on the shop. A blog is something I’ve toyed with doing for a while now so I hope you come to like it. For me it’s like a conversation between myself and my customers or a little brochure picked up from the till. A way to connect and get to know you and you know me. Until the day I have a bricks and mortar building to hang my sign over and call shop I’m going to use a blog a website and Instagram to full advantage. So please come back for my future natterings. It’s lovely to have you.